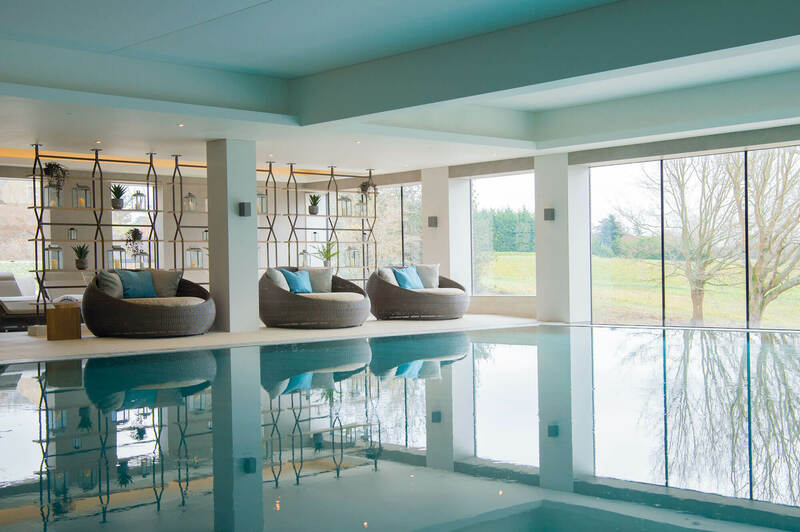 The new 4120m2 Spa at South Lodge, an Exclusive Hotel is set in the rolling hills of the South Downs in Sussex is set in a stand-alone building designed to embrace the natural setting bringing the outside in and the inside out. 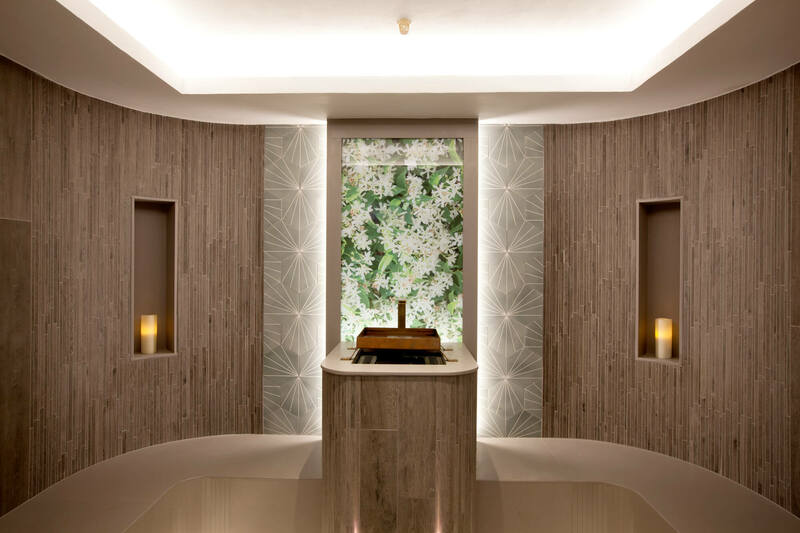 The 15 million pounds Spa is one of the most highly anticipated spa openings of 2019. Danny Pecorelli, Managing Director of Exclusive Hotels & Venues appointed Sparcstudio as the Interior Architects/Spa Designers responsible for the overall spa concept from space planning and the spa journey to the contemporary lighting design, thermal suite cabins, and Pools, joinery interior finishes as well the contemporary bespoke furniture design. 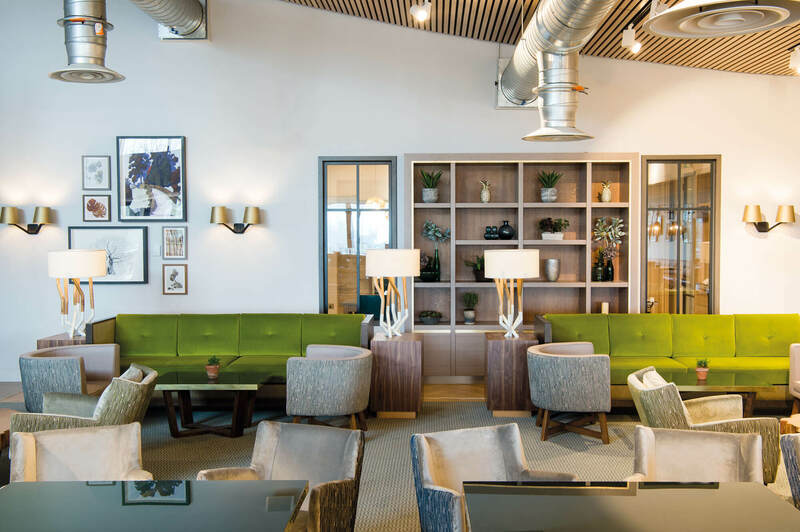 Sparcstudio has created an inspired contemporary spaces throughout the building which creates a sense of comfort and relaxation with botanical themed, richly textured fabrics and materials throughout. 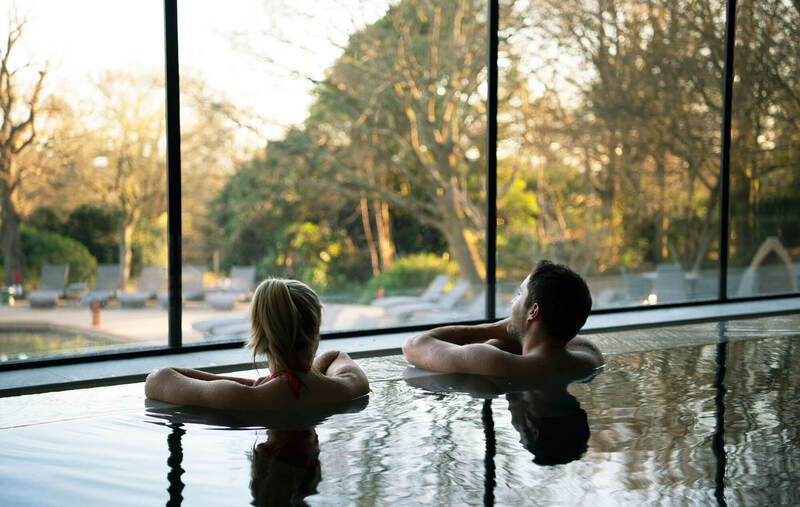 Much of the design concept was inspired by South Lodge’s botanical history dating back to the 1800’s. (Frederick DuCane Godman, a British naturalist and plant collector built the original house). Arrival at reception on the upper level is light and bright with large picture window frames offering views of the historical Rhododendron gardens. 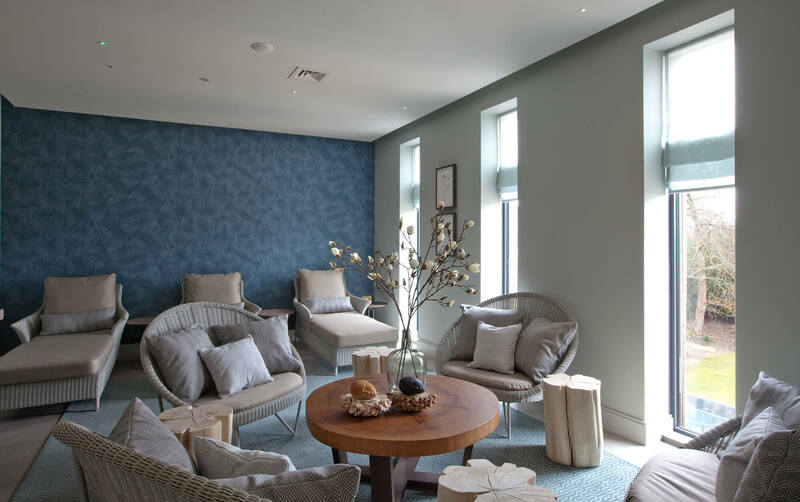 From the reception area, guests can access the ‘Botanica’ spa lounge and restaurant, the treatment zones or travel down to the other areas of the spa. 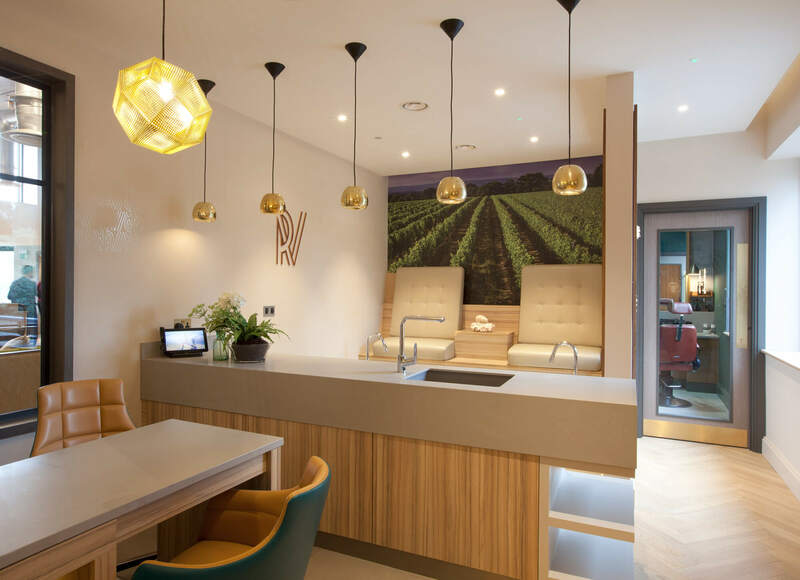 This level features two unique concepts, the elegant ‘Ridgeview Beauty Bar’ combining nail bar and pedicure suite which serves Ridgeview Sparking wine. Grizzly’s Male grooming bar designed with a forest green colour scheme in the style of a traditional modern barber shop. 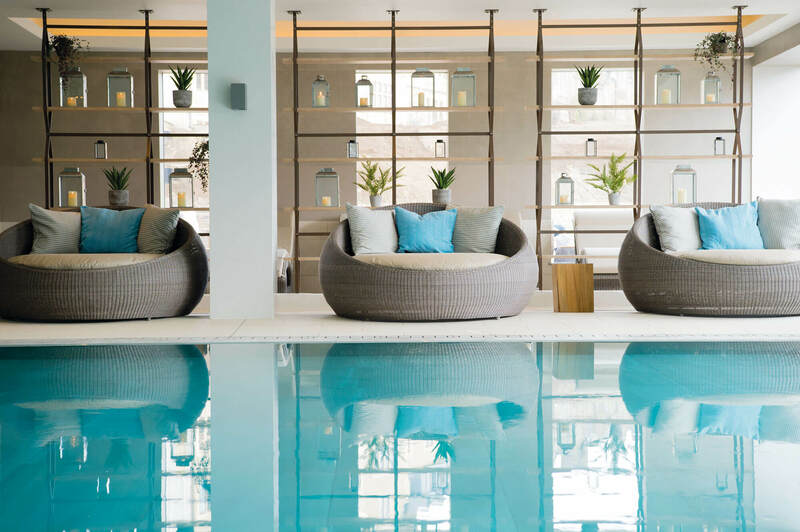 Sparcstudio has created luxurious dressing rooms with marble and etched glass showers and relaxing social spaces with comfy sofas, tiled ‘rugs’ and bookcases, all bespoke designed to create a ‘club-like’ feel. The Thermal Suite with candle lit relaxation zone overlooks the spa terrace, hydro-pool and features a series of iconic, bespoke experiences designed by sparcstudio including: Panoramic Juniper infused sauna with organic profiled timber fins inspired by the rolling hills of the Downs, (with full height glazing overlooking the gardens), a Marble lined salt steam room, Aromatic Herbal bath infused with Camomile and hot experiential shower and cold drench. Guests can relax on the curved heated seating area with slatted Iroko hardwood candlelit screen. The gym and fitness areas feature the latest high-tech equipment with an urban retro look interior and a dedicated external fitness deck all overlooking the spa garden, a ‘state-of- the- art’ Spin studio and a separate, serene studio space lined with full height mirrors and ballet barre to one wall and floor to ceiling slot windows overlooking the mature rhododendron gardens to the rear. I am genuinely, above and beyond delighted with the end result of the project working with Sparcstudio. It’s the quality and feel and the attention to detail. 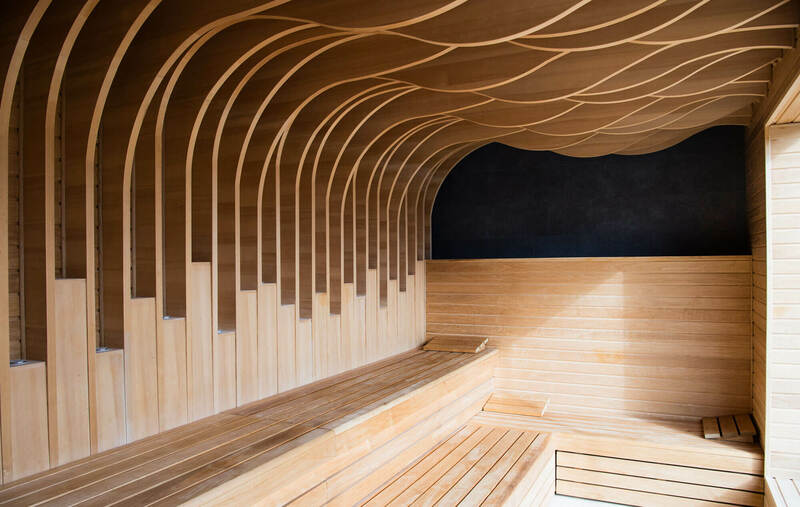 For example, in the sauna, you get the wow factor that we wanted, and everybody comments on it. I chose Sparcstudio to work with because I liked their approach to design. It boils down to a comfort in their understanding of the brief and their knowledge of the project. 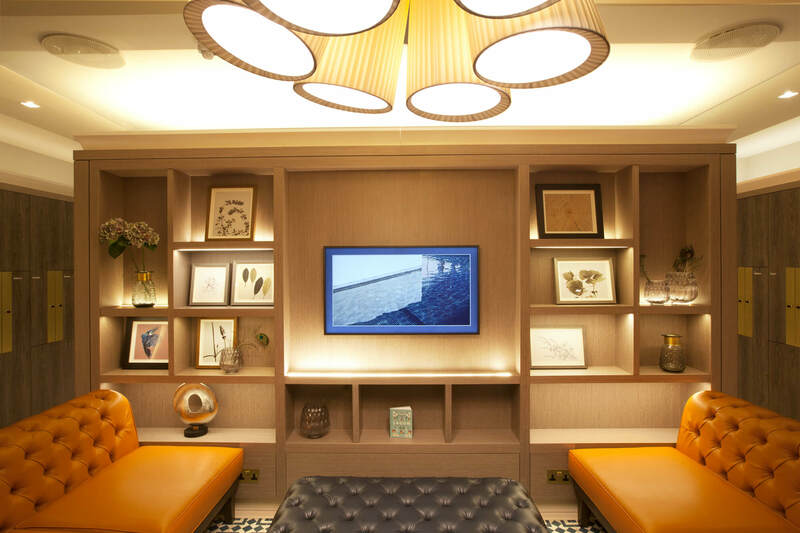 Exclusive Hotels are all about the attention to detail and so are Sparcstudio.